Rinat Akhmetov’s position regarding the future of Donbas, where pro-Russian separatists demonstrate and organize “people’s republics,” elect “governors,” and demand federalization with the Russian Federation is clear. Donbas is part of Ukraine. This was announced by the “prisoner of conscience” and former head of Yukos, Mikhail Khodorkovsky, during a meeting in Donetsk with community activists and the press, reports Ukrainska Pravda, April 27. Speaking of his meeting with the oligarch Rinat Akhmetov and the governor of the Donetsk Oblast, Serhiy Taruta, April 27, Khodorkovsky stated: “I won’t repeat the content of our conversation at the meeting. However, I will say one thing: the position of both men is clear: Donbas remains a part of Ukraine,” he said. “Do they understand the situation? Yes, they understand it very well. Do they know what can be done? Yes, they understand what is possible and what is not possible. But without the support of civil society, their freedom of maneuver is extremely limited, or perhaps nonexistent,” he said. “Let’s be honest. Sending special forces from Kyiv is not a solution. And everybody understands this perfectly. If they don’t, they should think about it,” he added. As is known, Ukrainska Pravda journalist Serhiy Leshchenko had reported, citing sources, that “in March-April Akhmetov flew to Moscow to meet with Putin. And the result is now visible on the streets of Donetsk,” Leshchenko concluded. In turn, SSM (System Capital Management, company owned by Akhmetov) stated that Akhmetov did not meet with the Russian president. However, media has been reporting that the separatism in Donetsk and Luhansk is taking place with the direct assistance of oligarch Rinat Akhmetov and the leader of the Party of Regions faction Oleksandr Yefremov. In February, Akhmetov came out against federalization and separatism. In early April, he urged separatists to negotiate with the government and act an intermediary in this process. 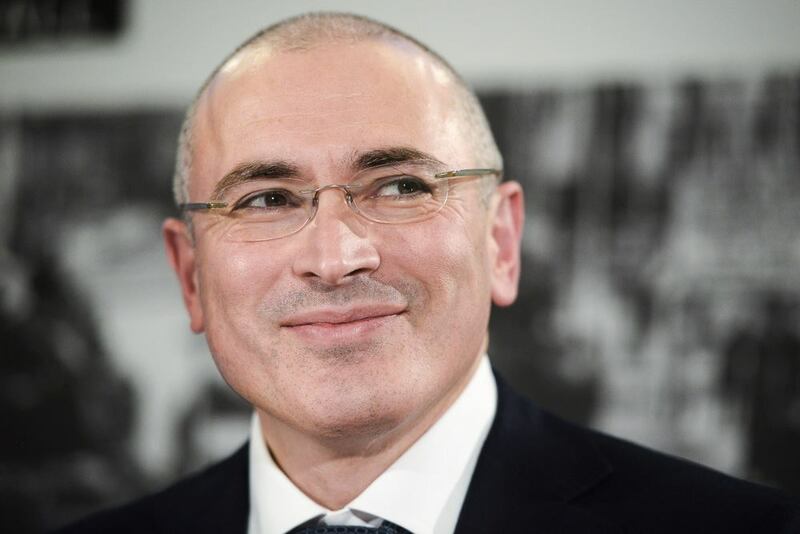 At the same meeting in Donetsk, April 27, Khodorkovsky also expressed doubts that sanctions by the international community against the Russian Federation and especially against Vladimir Putin will stop him from invading Ukraine. “Can sanctions stop Putin? No, ” he said. “No sanctions will be effective quickly. The economic situation for Russia will not be critical for 3-5 years. It will become worse, the living standards will deteriorate, but there are enough gold reserves and strength to last for a few years,” he said. “As a result, the person who has turned his mind so radically, who has obviously become poisoned with his own propaganda will not be stopped by these sanctions,” he concluded.